We believe that life-long learning and growth is an important, intentional process. Indeed our principles encourage us to an ongoing search for our truths and to constantly be reflecting and making meaning of our lives. Therefore Religious Education is for all of us. 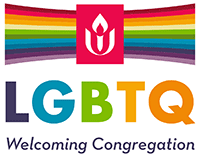 Together we learn how to live our lives as Unitarian Universalists; how to make meaning of the situations we find ourselves in; and how to ground our actions in our principles. We are excited to offer programs for all ages designed for learning and growth as we explore our truths together. New opportunities are developed frequently and schedules may change. The best way to stay up-to-date with all of our learning opportunities is to check out our website https://www.uufnn.org/learning/; explore the RE bulletin board in the hallway near our coffee gathering; or reach out to our acting Director of Lifespan Religious Education. Our church is a place where everyone is accepted and we all learn and grow together. Every person should be free to search for what is right and true in life. People should have a say in decisions that affect them. We should work for a peaceful, free and fair world. We should care for our planet earth because we are all a part of the earth. As UUs reflect on racism and our role in upholding white supremacy, an 8th principle has been proposed: Journeying toward spiritual wholeness by working to build a diverse multicultural Beloved Community by our actions that accountably dismantle racism and other oppressions in ourselves and our institutions.